We follow best practice in the way we work with young people and vulnerable adults. Everyone who works with children or vulnerable adults in the Parish has a clear job description, provides two referees and requires a DBS (formally CRB) disclosure. 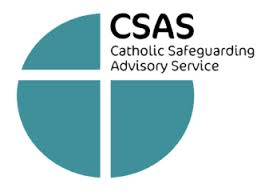 Mary Croome, our Parish Safeguarding Representative, is responsible for the administration and checking of new volunteers and is a contact point for advice and concern about matters concerning safeguarding. In an emergency, if you consider a child, young person or vulnerable adult to be in danger or at risk, immediately contact the Police or Social Services local to your parish. For National Policies and Procedures please click above.